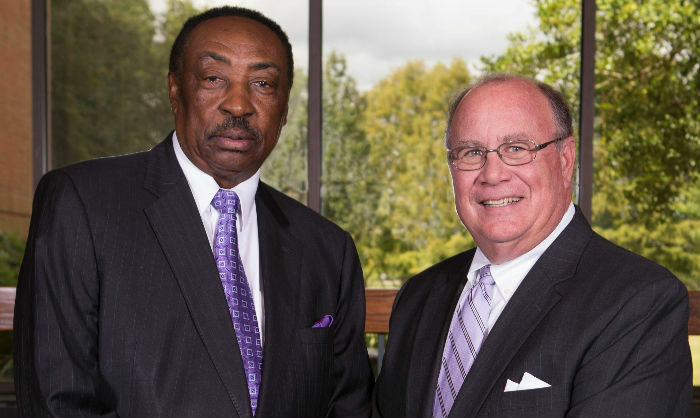 Ken Upchurch and longtime business partner Percy Thomas have built a team that is both inspiring and productive to work with as we build 22nd Century schools. Percy Thomas is a native of White Hall and a resident of Montgomery, Alabama, for 45 years. He is chairman and CEO of Thomas Construction & Masonry Co., Inc., a family-owned business that has constructed various projects throughout the Southeast and as far away as Colorado. Percy is also a managing principal of TCU Consulting Services, LLC, a locally-owned construction consulting firm providing Owner Representation, Program Management, Facilities Planning, Strategic Planning, Construction Claims Consulting and Development Consulting services. The fifth child born to the late Mr. James Thomas and Mrs. Rebecca Thomas, he is married to Dorothy S., and they have two lovely daughters, Laquan and Lakeshia. A graduate of Central High School in Lowndes County, Alabama, and of Trenholm Technical College, Percy has received numerous awards from the construction industry and the community. the firm is one of Alabama’s oldest continuously family-owned and operated construction companies. Ken is also the managing principal of TCU Consulting Services, LLC, a locally-owned construction consulting firm providing Owner Representation, Program Management, Facilities Planning, Strategic Planning, Construction Claims Consulting and Development Consulting services. Ken and his wife Carol have two daughters, Coleman and Lucy.